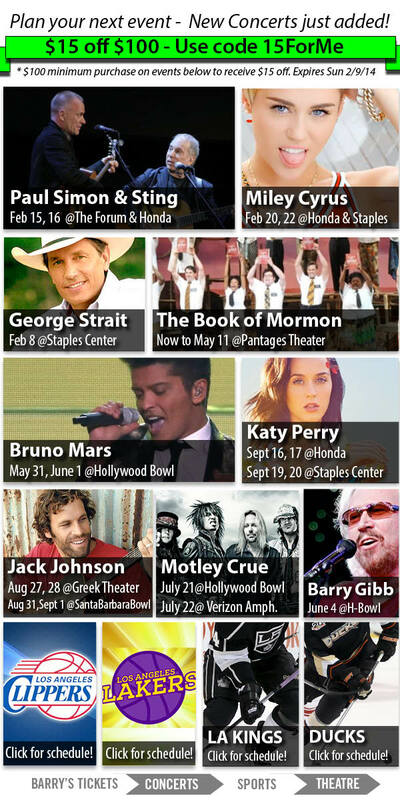 Take $15 off with minimum purchase of $100 or more on any one of these Los Angeles Events at BarrysTickets.com. Good Through 02/09/14. Save $15 off $100 on any of these events!